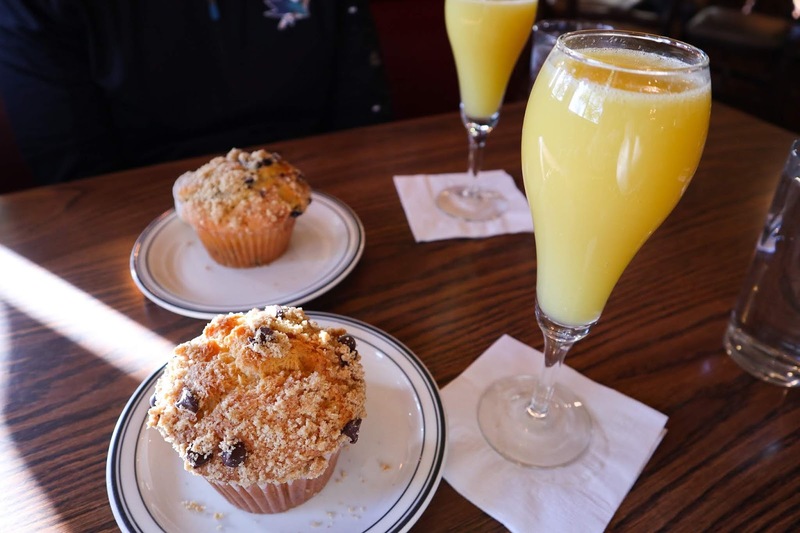 Every time we go to Mimi's we always start off with mimosas they have the best mimosa I have ever tried. 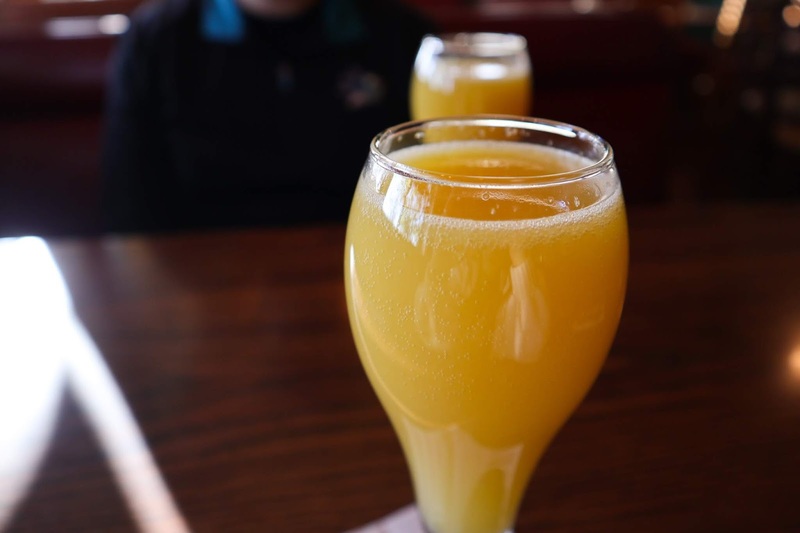 Mimi's offers you more than one juice choice, their mimosas come in mango, wild berry, white peach, and your not so traditional orange juice with a twist of tangerine. They are all divine but the white peach takes the cake! I never pass up the chance to order the white peach, and Rudy will venture out most times. This time we both ended up with their white peach mimosa. Some of my favorite dishes here are their pancakes but specifically their omelets! The second reason for my visit here. Don't quote me on this, but I believe that with every breakfast meal you order you get to choose from toast or muffins. 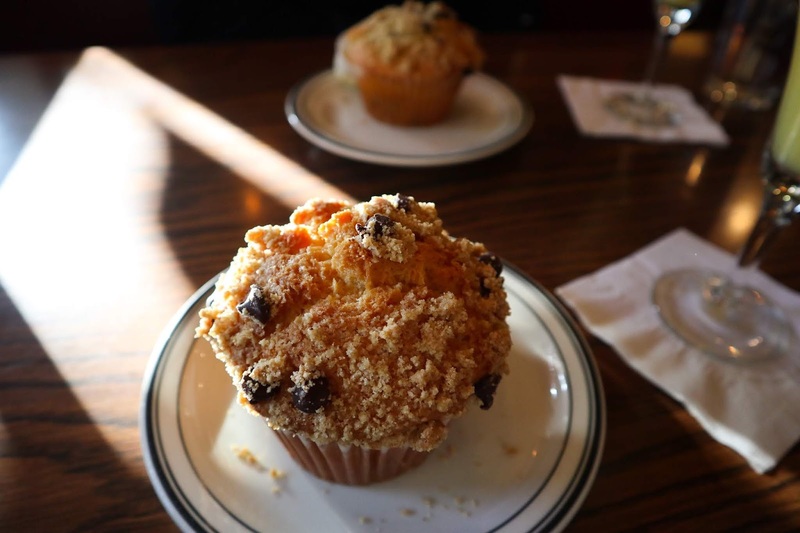 I always aim towards their muffins because it's some of the best I've tried. They carry a lot of season flavors one being pumpkin spice which was delicious. Another one they briefly had and I fell in love with was the banana chocolate chip muffin. In this visit, I got myself a regular chocolate chip muffin and Rudy had their blueberry one. Yum yum! One of my go-to omelets is their Sunrise formally known as the Santa Fé omelet. 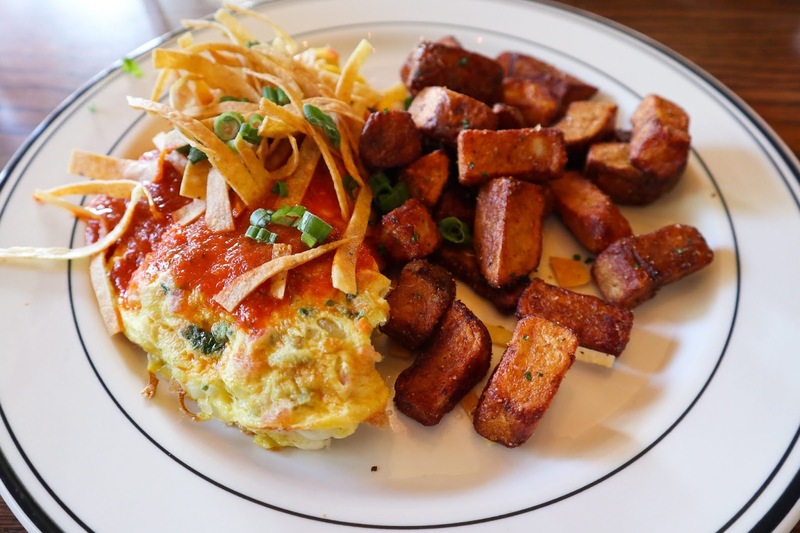 This tasty omelet consists of three eggs, jalapenos, onions, cilantro, cheese, chipotle sauce and topped with tortilla chips, and served with a side of roasted potatoes. 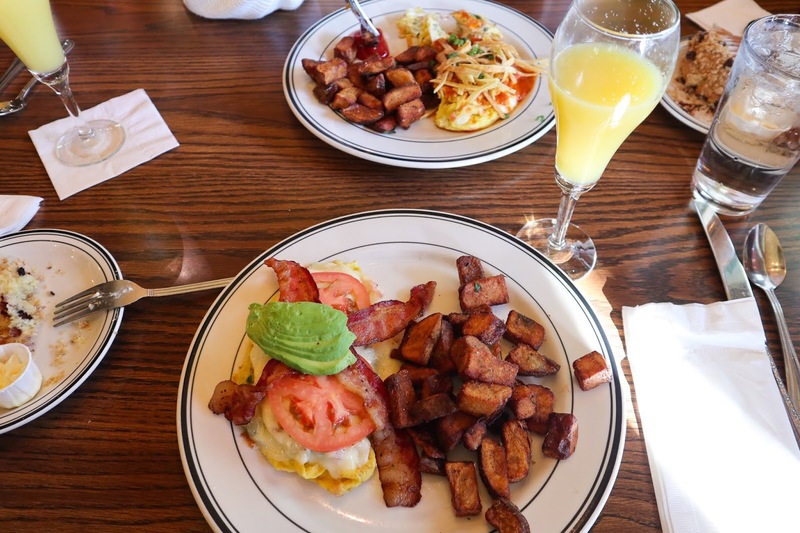 Rudy ordered another one of my favorites the Bacon Avocado omelet. This protein lovers omelet contains three eggs, smoked bacon, tomatoes, spinach, cheese, and avocado. This dish is also served with a side of their delicious roasted potatoes. Breakfast was delicious! Rudy and I definitely left with both our tummies happy and full. 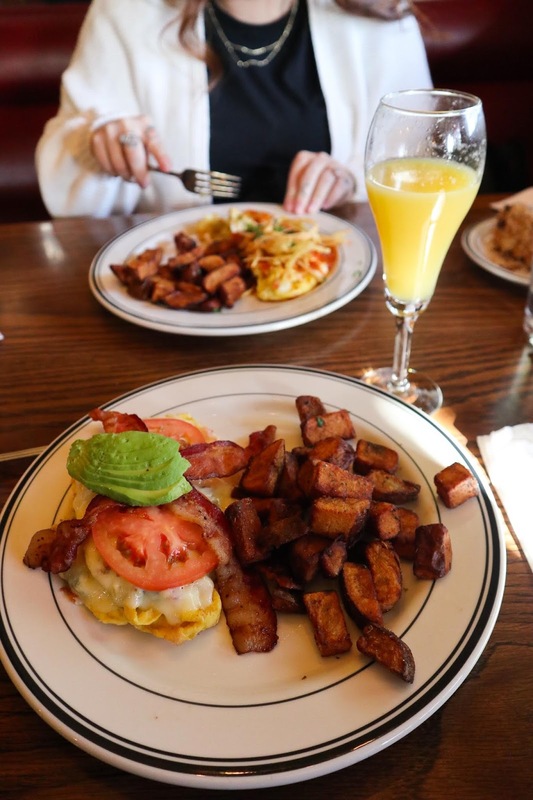 Breakfast is one of my favorite meals to go out and eat. There's always a ton of options and this spot is one of my favorite places to go to. I'm always telling friends to go there and try their mimosas haha. 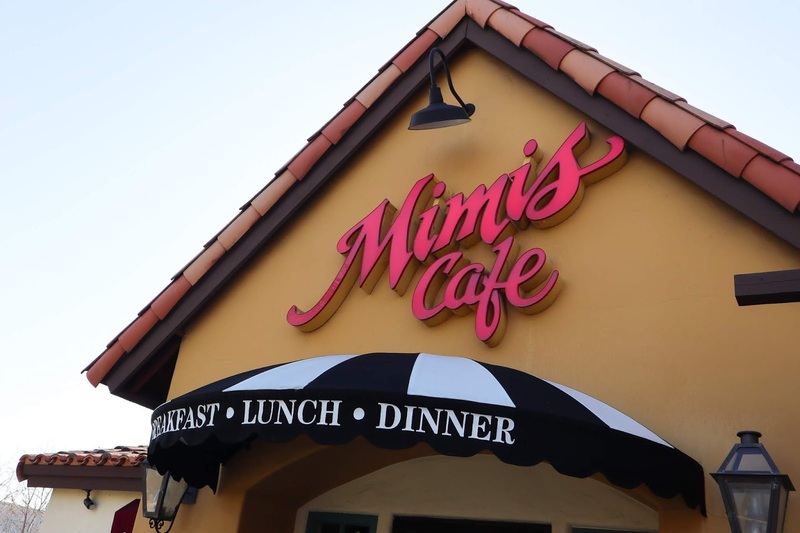 Have you ever been to Mimi's Cafe? This place looks ever so lovely!